How about the Thai locations in Tomorrow Never Dies? So this isn't a temple? What could it be? A go down or rice barn. They look like what Thais call a 'Sala'. Kind of like a gazebo. Used a lot in Thailand at countryside bus stops or at boat landing stages either public or private. And it definitely will not be there any more, the land would have been further developed by now. If he's doing a collection of ''then and now'' pics then you can understand his desire to seek out these locations. I hope Thomas finds his locations. The trail of Scaramanga leads to Bangkok, and a boat chase through the klongs, the network of canals criss-crossing the city. The karate school is Muang Boran, the Ancient City, the world’s largest outdoor museum, housing scaled-down versions of the famous buildings and temples of Bangkok. It’s about 20 miles east of town on Sukhumvit Highway in Changwat Samut Prakan. The kickboxing match, at which Bond first meets Scaramanga, was filmed in Bangkok’s Ratchadamnoen Stadium, Ratchadamnoen Nok Road (tel: 281.4205). But, most famously, Scaramanga’s island hideout is Khow-Ping-Kan, one of a chain of tiny jungle-covered limestone pillars in Phang Nga Bay at Phuket, on the tip of the Malay peninsula. At the time of filming, a remote and undiscovered paradise, it’s now overrun by tourists taking the 54 mile bus journey, north from Phuket Town, and the boat trip out to see ‘James Bond Island’. 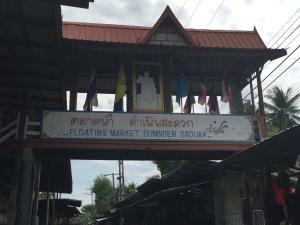 Bond escapes from the Karate School at Muang Boran with the aid of Lt. Hip and his martial art expert nieces and the ensuing boat chase continues on to Damnoen Saduak Floating Market (below) which is over 100km away! 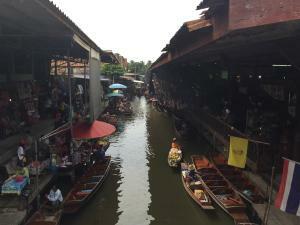 From there it goes down Klong Dan (60 minutes) with just about everyone apart from Bond ending up in the water. No, it's not Damnoen Saduak! I wrote about the TV production team who was there at the wanted location during filming. They were in Bangkok at the location, not in Damnoen Saduak. It's a very big problem - all the common web sites are wrong or could not help. No, it's not Damnoen Saduak! You're adamant but all my trawling says you're wrong. I'm sure if it wasn't Damnoen Saduak market someone would have corrected that fact by now. Well at least thomas is now starting to get somewhere. 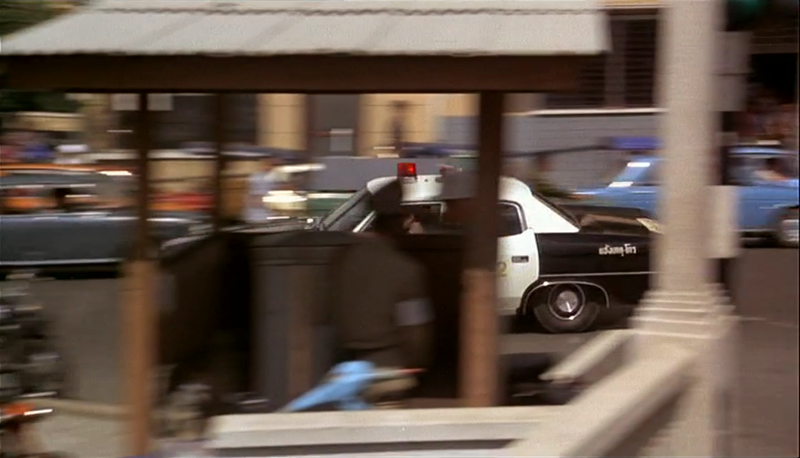 Maybe You could help me with the following screenshots from the movie. 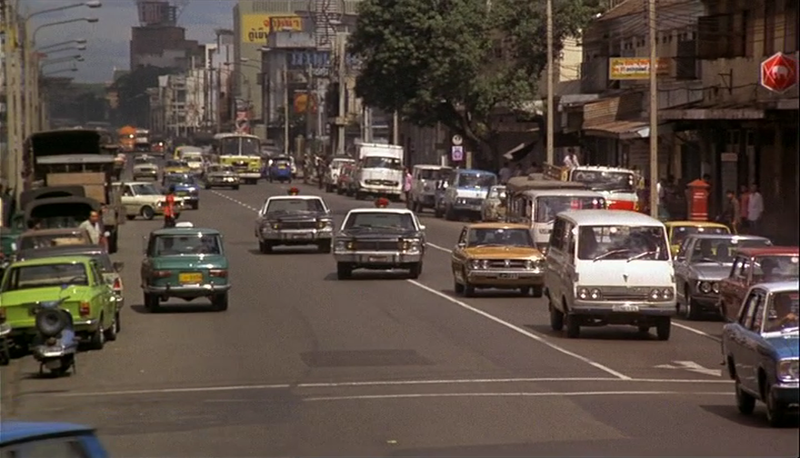 Which street is this? 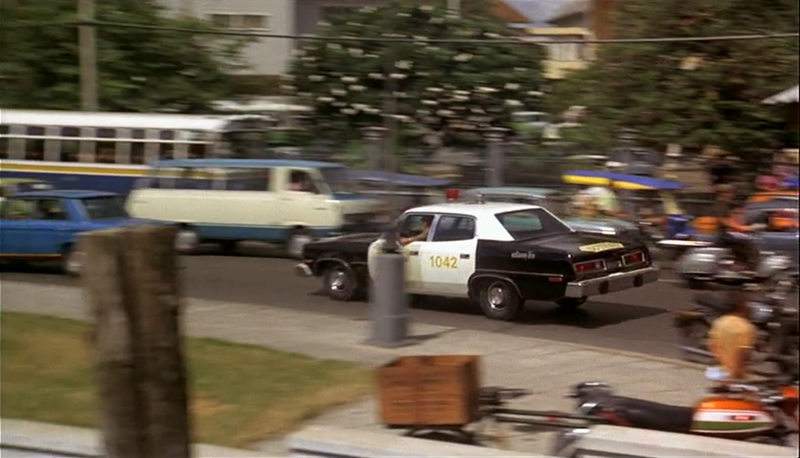 We are in Bangkok in 1974 and see the Police cars passing a corner with a Police hut. 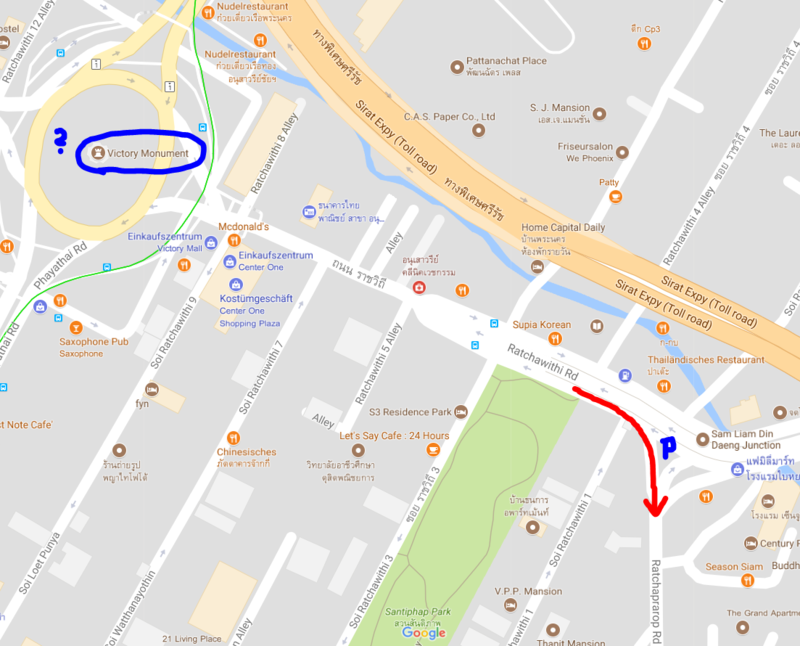 My idea was Sam Liam Din Daeng Junction and the cars coming down Ratchawithi Road from Victory Monument southwards to Ratchaprarop Road. But in this case the Victory Monument would be visible in the back of the first screenshot, which is not ... Any idea? Try Ratchadamnoen Nok Rd or Phitsanolok Rd.